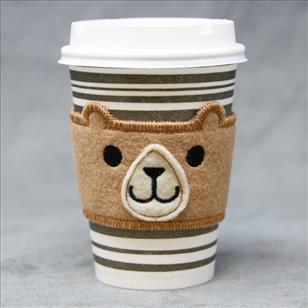 Make your coffee just a little bit sweeter with these adorable coffee cozies! 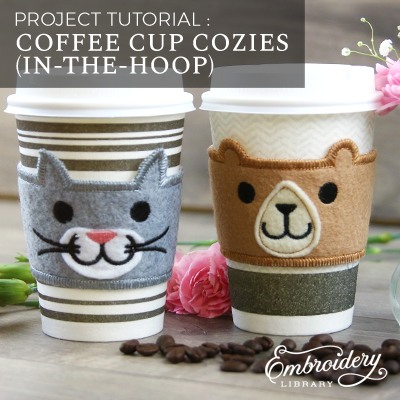 Stitch these designs in-the-hoop, either all in one piece or in smaller segments, then add a velcro closure and wrap your cozy around your favorite hot beverages. 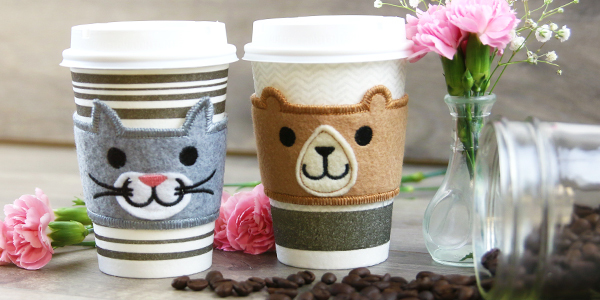 Makes a cute gift for your favorite coffee lovers! 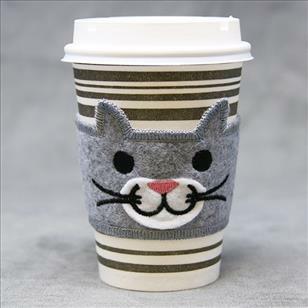 Special Note: Each of these coffee cozy designs is available in two versions -- a one-piece cozy sized to stitch diagonally in a 6"x10" hoop, and a cozy divided into three pieces, each of which will stitch within a 5"x7" hoop. 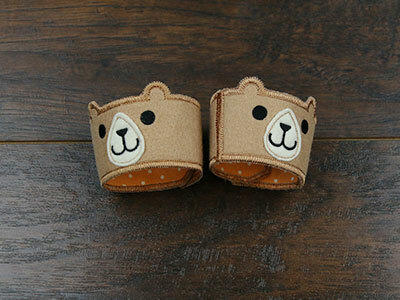 Both versions make a finished cozy about 10.25" long by 2.5" high, designed to wrap around a standard paper coffee cup. 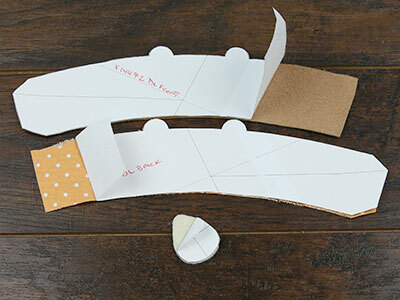 Spray the back side of the paper dieline with spray adhesive. Smooth that on top of the fabric and cut out the shapes. Hoop a piece of tear-away stabilizer. Madeira E-Zee Tear 1.5 oz. or Floriani Tearaway Medium are good choices. Those brands are more fibrous, less paper-like, and will tear more cleanly. 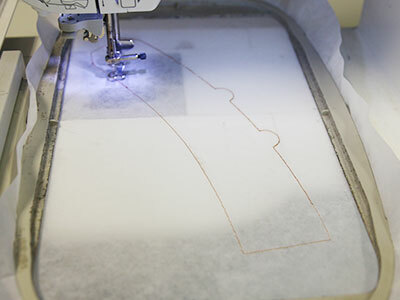 Attach the hoop to the machine and load the full embroidery file "a" (not the dieline files). Embroider the design. 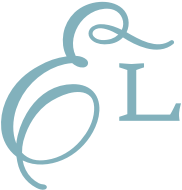 The first thing to embroider will be a dieline, or outline stitch. 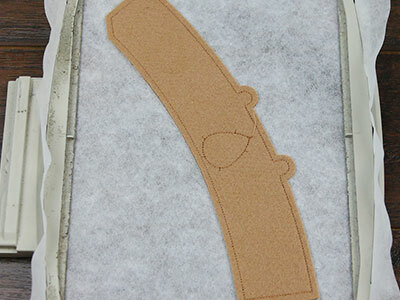 This marks the area on the stabilizer where we'll place the fabric piece. 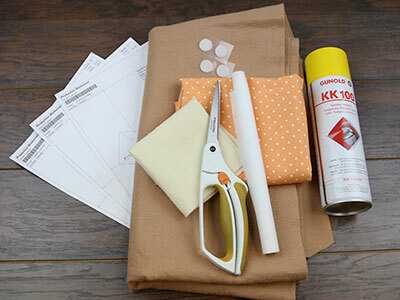 Spray the back of the front fabric piece with a temporary adhesive, and place it right inside the sewn dieline. 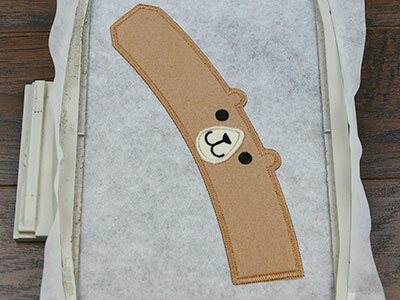 Attach the hoop back onto the machine and continue embroidering the design. A tackdown stitch will sew next. This binds the fabric in place for the remainder of the design. The next step to sew will be the face detail dieline. 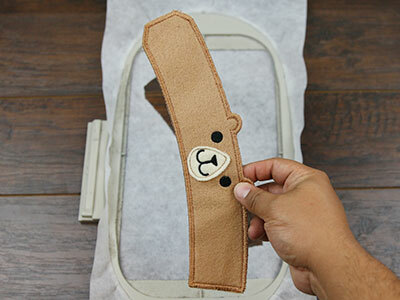 Spray the back of the face detail fabric piece with a temporary adhesive, and place it right over the sewn dieline. 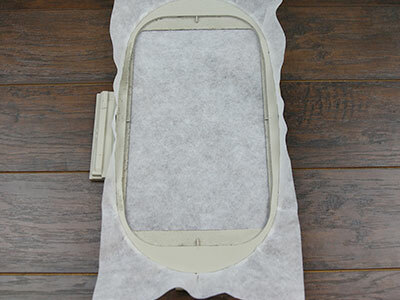 Return the hoop to the machine and allow the inner details to sew. Watch for a note on the color change sheet that says "back piece tack down." When you get to this point, remove the hoop from the machine, but don't unhoop the stabilizer. Turn the hoop over. 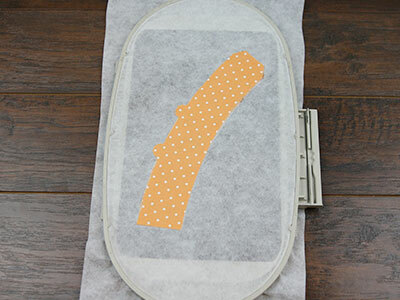 Spray the batting side of the back fabric piece with temporary adhesive, and place the fabric inside the shape on the back side of the embroidery. 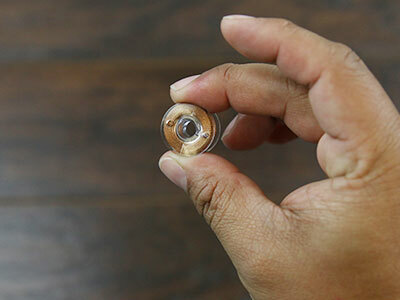 Since both sides of the embroidery will be seen, wind a bobbin with the same color as the top thread. Attach the hoop back onto the machine and continue with the design. A tackdown will sew, followed by a finished E-stitch border. 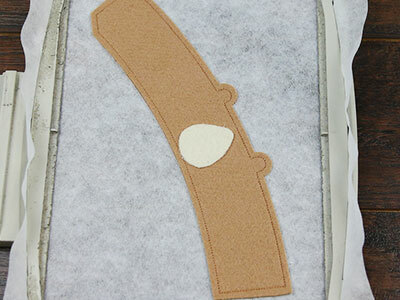 After the embroidery has finished, carefully tear the stabilizer away. 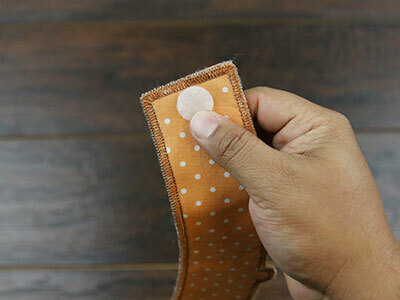 Use a hand sewing needle to attach the velcro. Make sure to only catch the first layer of fabric while sewing, and not sew all the way through the pieces of the cozy. 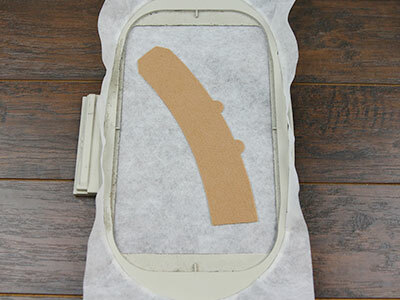 This way, no stitches will show through to the other side. If desired, you may glue them together. In this case we will be sewing them by machine. Place one side of the velcro circle on the underside of the squared edge and sew it in place. 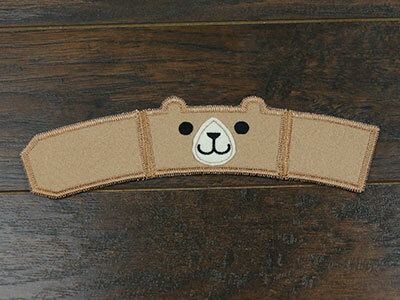 Make sure not to sew all the way through to prevent stitches from showing on the other side. Next place the other side of the velcro circle centered on the angled edge, near the E-stitch border and stitch in place. 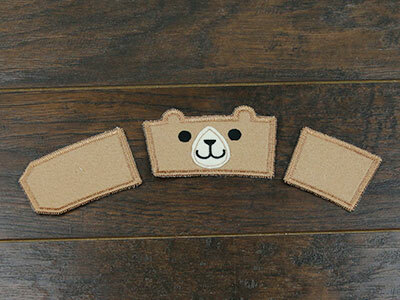 Construction of the segmented coffee cozy is very similar to the one-piece version. Follow the above steps for each of the three pieces to assemble them. 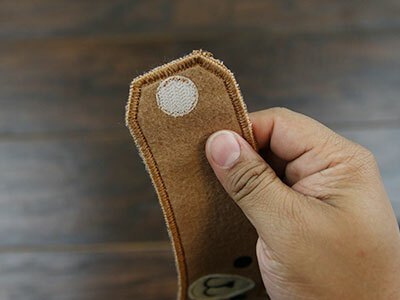 Use matching thread to connect each section. A zigzag stitch works best for this step. 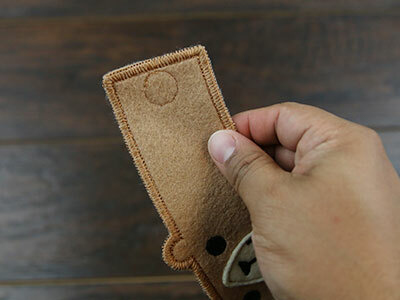 Attach the velcro pieces as you would for the non-segmented design. 9.43" x 5.84" | 4.55" x 3.54"
9.44" x 5.84" | 4.54" x 3.73"